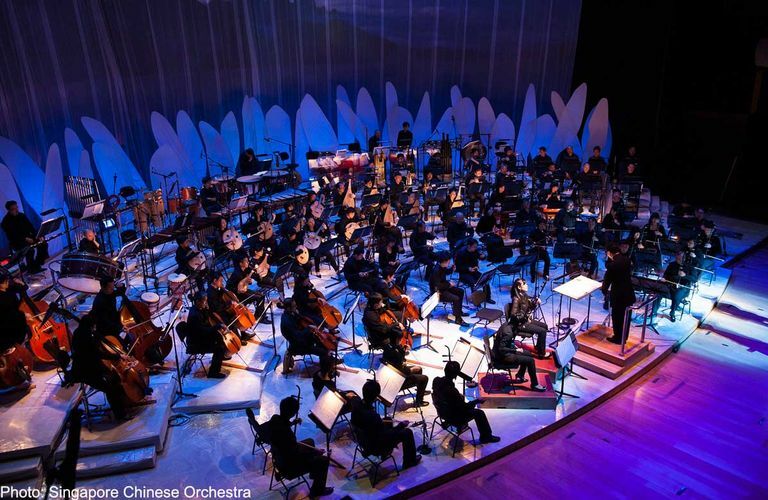 Singapore Chinese Orchestra (SCO) is Singapore’s only professional Chinese orchestra. Inaugurated in 1997, the 79-musician orchestra took on the twin role of preserving traditional arts and culture and establishing new frontiers through the incorporation of Nanyang music elements in its repertoire. SCO has impressed a broadening audience with its blockbuster presentations and is fast establishing itself among its counterparts around the world. Known for its high performance standards and versatility, the SCO has gained recognition at numerous prestigious events locally and internationally through concert tours. In line with its vision to be a world-renowned people’s orchestra, SCO continues to inspire, educate and communicate through its music.